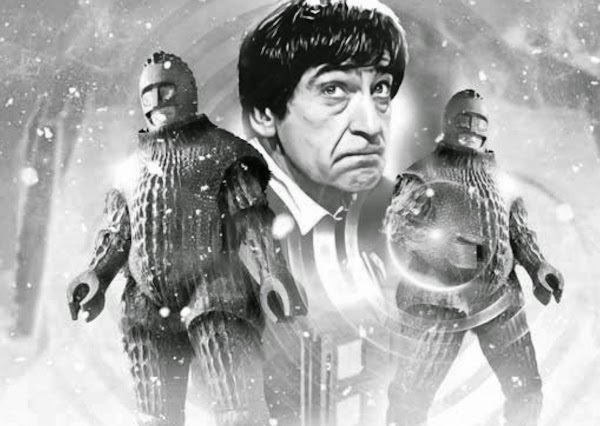 The Second Doctor's Encounters With The Ice Warriors | Warped Factor - Words in the Key of Geek. Somehow the science boffs reach the conclusion that what they've found is a mastodon, or woolly mammoth. Gives you faith in science, doesn't it? ARDEN: Walters, drill here. Now clear that trench, Walters, while I prepare the seismograph probe. WALTERS: Sir. Get your drill ready, Davis. Sir! WALTERS: I could swear there's something inside. ARDEN: Oh, not another mastodon. WALTERS: Well, look for yourself, sir. ARDEN: Is it a man? WALTERS: Perhaps it's an animal. ARDEN: Well, we'll soon find out. Davis, the heavy drill. And whatever it is, it can't be a prehistoric man either. 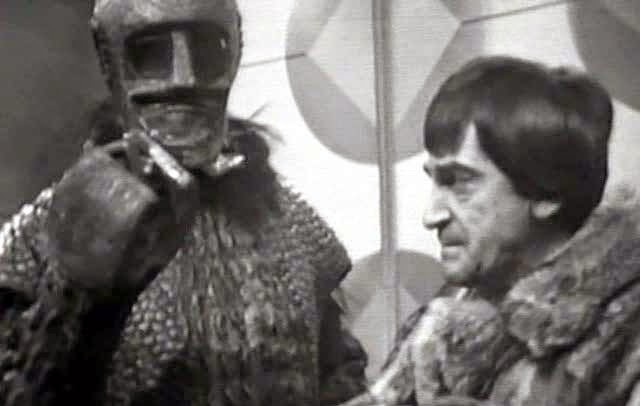 The Doctor knows more than enough about them from the early days of his previous incarnation! Doesn't stop the Britannicus team guessing, though. WALTERS: Proper Ice Warrior, isn't he, sir? I reckon Leader Clent'll be interested. 'He' is Varga, leader of a platoon of Warriors who sets about reviving his frozen comrades from their icy slumber. With that done, his next gambit is to kidnap Victoria Waterfield! And he has a few questions for her. She gives as good as she gets, mind. It would seem all he wants is to get home! VICTORIA: Where are you from? VARGA: From the Red Planet. VICTORIA: Mars? We thought you were dead and then you came alive. What happened? VICTORIA: I'm curious, that's all. VARGA: I need answers from you. VICTORIA: I don't think I can help you very much. VICTORIA: Is that a gun? VARGA: How long was I in the ice? VICTORIA: I don't know, I. One of the scientists said you must have been there since the first ice age. Thousands of years ago. VARGA: That cannot be true. VICTORIA: Were there others with you? VARGA: Yes. Our spaceship crashed at the foot of the ice mountain. As we came out to investigate, a great avalanche of snow buried us. VICTORIA: Then the others are still trapped in the glacier, then. VARGA: I will free them. Then we will return to the Red Planet. To achieve their aim the Warriors are intervening in the early stages of a developing T-Mat technology, with the Doctor, Jamie & Zoe turning up just in time to have a look into the matter. MAN : Travel Mat is the ultimate form of travel. Control centre of the present system is the Moon, serving receptions at all major cities on the Earth. Travel Mat provides an instantaneous means of public travel, transports raw materials and vital food supplies to all parts of the world. JAMIE: Travel Mat? It sounds like a flying carpet. DOCTOR: Shush, Jamie, I'm trying to listen. MAN : Travel Mat supersedes all conventional forms of transport. Using the principle of dematerialisation at the point of departure, and rematerialisation at the point of arrival in special cubicles, departure and arrival are almost instantaneous. MAN : Although the system is still in its early stages, it completely automated and foolproof against power failure. JAMIE: Aye, well, we have our own system, thank you, only it isn't foolproof. ZOE: It's no use. No contact at all. Every circuit's dead. DOCTOR: Oh dear, this is most unfortunate. JAMIE: Aye, well don't try them again. You may blow the whole rocket up next time. ZOE: Well, there's no use worrying about the radio now. We're nearly at the end of the journey. DOCTOR: Well I had hoped we could stay in contact with Earth. ZOE: We don't need them. All we have to do is activate the Moon homing beam. JAMIE: Well, how do you do that? I thought we weren't in contact with anyone on the Moon? ZOE: Well, it's quite simple, Jamie. It's an automatic device. We send out code radio signals which triggers the homing beacon into action. We automatically lock onto it until we reach the point in orbit where we fire retro-rockets to land. JAMIE: Oh. Ah, but if they've all been cut off, how can they activate? DOCTOR: It works off a different power source, Jamie. Solar power. It's independent of the T-Mat system. JAMIE: Aye well, I just hope it works, that's all. ZOE: Well, if it doesn't we're going to have trouble docking at Moon Control airlock. It could be quite a crash. DOCTOR: Well, lets try, shall we? I think we're near enough. There, that's our activating signal. ZOE: That's it. As long as that note is steady, we're home and dry, no trouble at all. Neil Armstrong, eat your heart out. Coincidentally his trip onto the great night-time orb in the sky happened in the exact same year The Seeds Of Death was broadcast. Fortunately no Ice Warriors were encountered!